Cultural Front: Bantu knots: Ghetto? Bantu knots as we refer to them have long served in overnight routines to preserve curly/coily hair for the next day. These styles are not always worn out in public; however, when they are, they are seen as fierce and daring. The term “ghetto” does not denote any positive association with the hairstyle and further seems as an indirect attempt to distance natural hair black women from the pride of the hairstyle. “Ghetto” signifies urban insufficiency, and associating the term with an urban hairstyle further perpetuates the idea of white supremacy, or the notion that African American cultural or fashioning practice is somehow abnormal. 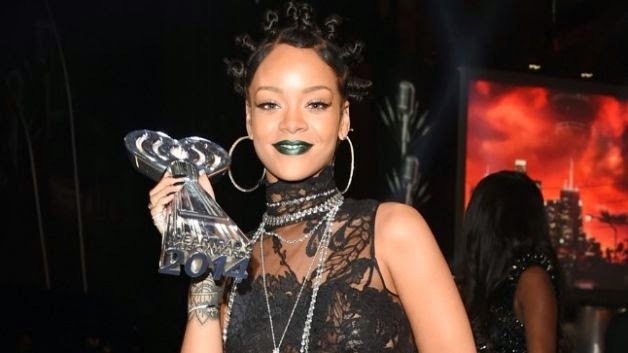 When Rihanna labeled a hairstyle utilized for preservation as “ghetto,” she perhaps unknowingly advanced troubling, uninformed views of black women’s hair.